Please click HERE to view our Weekly Newsletter!!! The mission of the Hocking Hills Chamber of Commerce is to improve our community by creating a thriving network of local businesses, supported by local residents and visitors, and to generate opportunities for economic growth and development of our community. 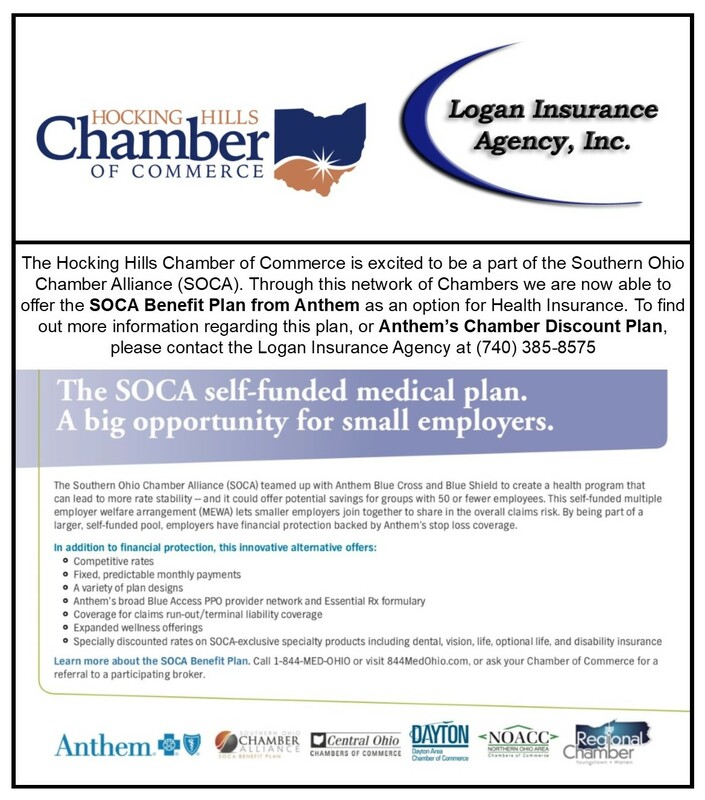 © Copyright 2019 Hocking Hills Chamber of Commerce. All Rights Reserved. Site provided by GrowthZone - powered by ChamberMaster software.